Erin Nelson, B.Sc.P.T., LL.B. (Alberta), LL.M., J.S.D. 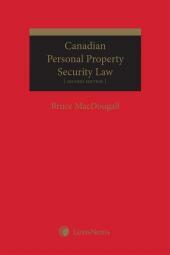 (Columbia) is a Professor in the Faculty of Law at the University of Alberta. She teaches Tort Law, Health Care Ethics and the Law, and Law & Medicine. Professor Nelson is a Fellow of the Health Law Institute, and has served as Associate Dean (Research) in the Faculty (2009-11). 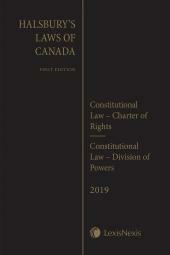 In 2012-13, Professor Nelson served as Senior Legal Counsel to the Honourable Catherine Fraser, Chief Justice of Alberta. Professor Nelson's research interests include the interface of health care law and ethics, women's health, issues in reproductive health, and feminist legal theory. 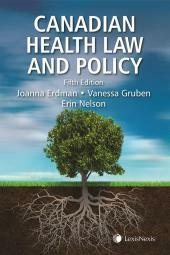 She has published articles and book chapters on numerous health law related topics, including consent, the regulation of health care practitioners, intervention in pregnancy, pediatric genetics and the tort law duties of pregnant women. Ubaka Ogbogu, LL.B., B.L., LL.M., SJD, is an Assistant Professor cross-appointed to the Faculties of Law and Pharmacy & Pharmaceutical Sciences at the University of Alberta. He teaches Torts, Law and Medicine, Pharmacy Law and Ethics, and the Health Law Moot Program. Professor Ogbogu’s research interests are in health law, public health law, science and health policy studies, law, bioethics and biomedicine, legal history of public health and healthcare in Canada, and the law of torts (with a special focus on medical malpractice and healthcare torts). He is particularly interested in the points of confrontation between ethics, morality, economics and law in relation to the governance of novel and controversial healthcare technologies. Professor Ogbogu holds a research appointment as the Katz Research Follow in Health Law and Science Policy and he is a member of the Faculty’s Health Law Institute. 2. What is health information? 4. Why is health information protected by law? 5. How is health information protected by law? 6. Who do health information statutes apply to?